Why you need to Feel Alive this Navaratri – with flowers, fireworks, food, culture and some high-thrill experiences. When the new state of Telangana was formed in 2014, the people of the state did not just get their own new government, but also the opportunity to revive and glorify some of their oldest traditions. And one of them is Bathukamma, the flower festival, celebrated during the nine days of Dussehra, or Navaratri. 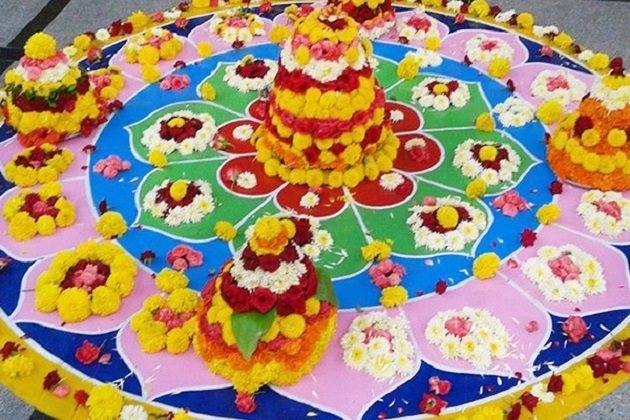 We usually use flowers to worship Gods, but at Bathukamma, flowers are worshipped as Gods. The word ‘Bathukamma’, made of ‘Bathuku’ and ‘Amma’, means ‘Mother Aliveness’. What is worshipped during the festival through nature and aliveness is life itself. Mother Life is celebrated as a goddess. The festival is celebrated only in Telangana and for all the nine days of Dussehra. On the moonless night of the Mahalaya Amavasya, ladies gather to make meticulous flower arrangements on large plates made of wood or bamboo frames. The main flowers used are ‘Gunugu’, ‘Thangedu’, ‘Banthi’ or marigolds, ‘Chaamanthi’ or chrysanthemums, ‘Taamara’ or the lotus, ‘Gummadi’ or Pumpkin flowers, ‘Dosakaya Puvvu’, ‘Gaddi Puvvu’ and ‘Vaama Puvvu’. A women-centric festival, it has imbibed a sense of unity and cooperation over the ages. For the past 3 years, the nine days of Dussehra festival in Hyderabad, and other parts of Telangana, has a newfound colour and vibrancy, thanks to Bathukamma. But the festival also reminds us of another important emotion – the one of feeling ALIVE – and that is why there can be no Dussehra or Navaratri in Hyderabad without the flower festival. This Dussehra in Hyderabad, you too can feel alive. So, how can you do that? You need some Bathukamma, and three other things. First, fireworks. It is the one experience which brings together the beauty of vibrant lights in dark skies and the music of distant explosions, and makes you feel alive. No Dussehra is complete without fireworks. 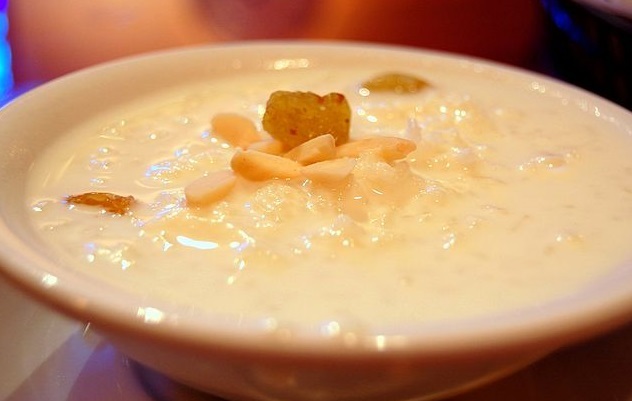 Another fun part of the Navaratri is the food. If it’s not just the best of festival food, from the payasams to sabudana vadas, it can be our regular favorites – like chaat and other street foods. And the most important of all – something which gets your adrenalin going. How about high-thrill rides? If you like the sound of that, the best destination for you to feel alive this Dussehra would be Wonderla, Hyderabad – because you will be getting all of it there. 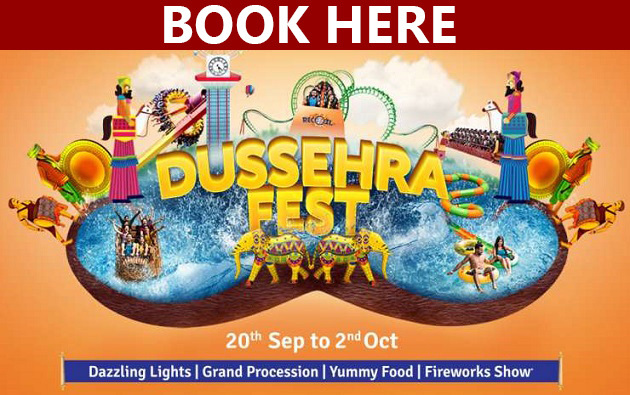 Starting Wednesday, September 20, Wonderla is creating a world of fun, fireworks, flower, food, music and games to help you feel the thrill of Dussehra. The highlight this year at Hyderabad will be the Singari Melam performance, with specialist drummers being flown in for your entertainment. 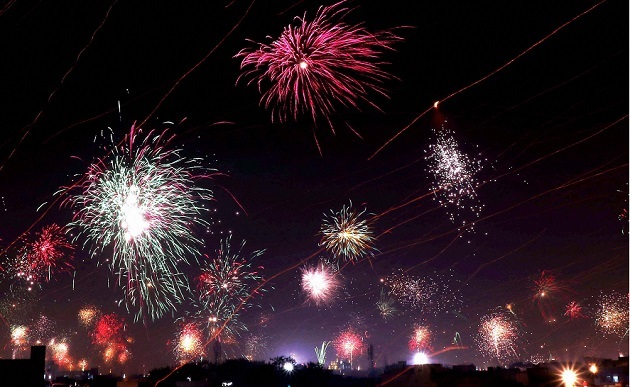 You will witness fireworks every evening throughout Dussehra. There will also be a grand procession with several artistes, singers and dancers, mobile fun games which will roam around the park, several stalls to satisfy your food lust, parrot fortune tellers who will read you your future, and another fun thing which girls and women love – free mehendi! And of course, floral arrangements for Bathukamma. 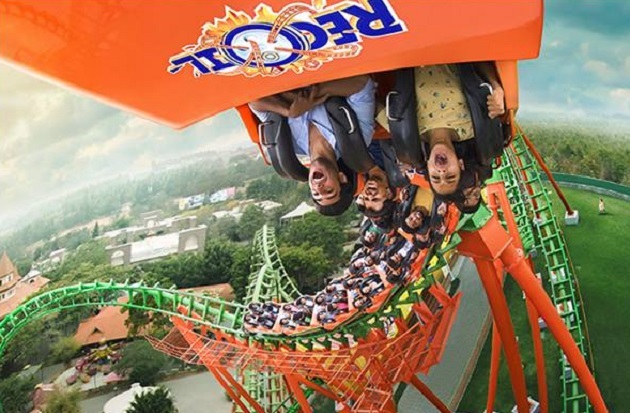 Apart from all the Dussehra festivities, Wonderla has more than 40 rides at the park that will ensure you have your share of thrill and amazement. If thrill is not your cup of ‘payasam’, enjoy in the wave pool or whirl around on the Boomerang, or simply float on the Lazy River. But, no matter what you do, they will make sure you #GetCloser to your loved ones this Dussehra. A Dussehra spent at Wonderla will be the best opportunity for you, your family and friends to get together and feel alive. Book your day at Wonderla here. This article has been produced by TNM Marquee in association with Wonderla.